I had the pleasure to interview Chinese multimedia artist YiZhou. YiZhou was raised in Rome, Italy and studied in Paris and London, earning degrees in political science and economics. She is a polyglot artist whose video works have been shown at Shanghai Biennale, Venice Biennale, Sundance Film Festival and Cannes Film Festival. In 2010, she relocated to China and founded her creative strategy digital production company YiZhouStudio www.yizhoustudio.com in Shanghai and Hong Kong. 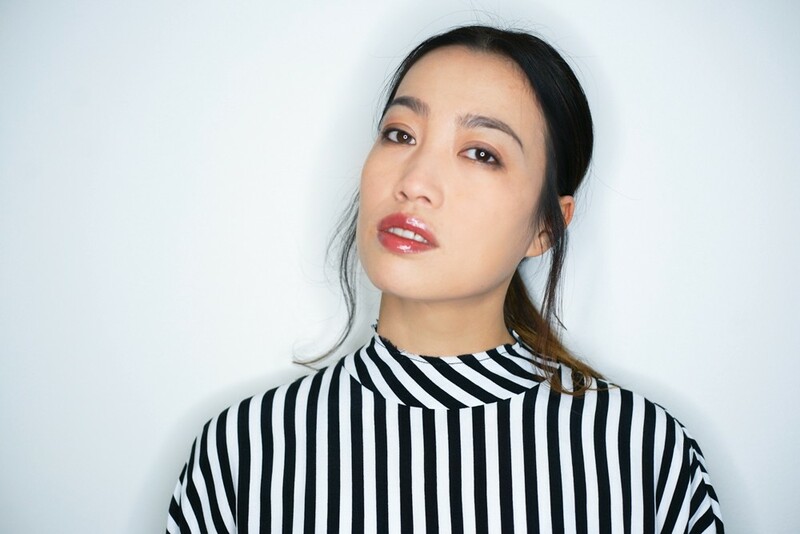 She founded YiZhouStudio LA as the US branch in 2018. YiZhou is currently developing her first feature film as a writer/director and plans to invest into Hollywood and Chinese co-productions via her new company “Into the Sun Investment.” She is the founder of the new fashion brand Global Intuition that will launch in Fred Segal stores in September 2018. I grew up in China and was raised by my grandparents in Hangzhou during the first years of my life. I attended primary school at the age of four, and at eight, I went to school in Italy. Later, I graduated with degrees in political science and economics from higher education institutions in Paris and London. I moved back to China in 2011 and founded my own company YiZhouStudio. I grew up with a lot of love from my grandparents, and with many hopes and dreams that I have built and worked on over time. I still study and work on self improvement each and every day, leaning from past mistakes in order to be able to build a beautiful family of my own. Our journeys and timing are subjective and strictly related to our own past experiences. I have achieved a lot professionally and I feel very happy about these achievements, however I believe I still have so much to achieve on a personal level. At the end of 2017, I relocated my life and began to build new companies in the United States, where I believe is the perfect soil to take my professional and personal dreams to the next level. I am inspired everyday to do better and live happier, surrounded with positivity. It all started in 2016 when I met my agents from William Morris Endeavor — LA, who encouraged me to come to Los Angeles and spend some time there. I was traveling to LA almost every month and one day, a friend of mine, actor Stephen Dorff, suggested that I get a place there rather than staying at a hotel extensively. I took his advice and grasped the opportunity, while meeting many people who genuinely helped my career grow, such as my godmother Susan Becker, her husband Harold Becker, producer Barry Navidi, my production partner Colleen Camp and my film publicist Lisa Taback, plus others. The transition happened organically. I moved into my new family house in April 2017 and progressively started spending more time in the USA. I feel Los Angeles is the place for me to be able to work with professionals from the entertainment world and be able to do great projects in the entertainment capital of the world. I look forward to shooting my first feature film “Stars and Scars” that will have a star-studded cast of Asian and Hollywood actors. We have also recently partnered with Cinemoi USA to grow its sponsorships and presence in Asia. I sincerely thank my godmother Susan Becker for genuinely helping me find a place in LA and introducing me to so many people and interesting venues. She is a world renowned costume designer and member of the Motion Picture Academy and I cherish everything she advises and wisdom she imparts to me. I must admit that am lucky to have many mentors and supporters, including my dad, my family members, my agents globally at WME/IMG, my business managers, my publishers, my legal team, Tommy Hilfiger, Colleen Camp, Oliver Stone,The Consul General of Italy in Los Angeles Antonio Verde, Davide Accomazzo and my professor at Pepperdine Graziadio, to name a few. Things are going very well. I have launched an LA branch of my company YiZhouStudio, an entertainment-fashion-lifestyle creative, strategy & production company. Our partners range from Tommaso Chiabra and his Royal Yacht to Alibaba Group. We are currently planning the launch event with Fred Segal for my new clothing and lifestyle brand “Global Intuition,” an American brand that highlights the cross border aspect of creativity and production. The brand was born in the social media era with the designs made in China and LA, and the production in China, with a focus on Chinese manufacturing, know-how and sustainability. Breaking away from the old-fashioned fashion show codes, the brand is completely based on the “see now and buy now” model. I have personally been involved in a lot charity work since 2011, with the creation of a commissioned work for the United Nations World Climate Change Conference in South Africa. This led to many others donated commissioned works throughout the years, such as for UNESCO in Paris for the Marine Heritage World, and others. I’m very happy to take the give back to the next level and YiZhouStudio and Global Intuition have recently partnered with CharityStars in support of selected charities around the globe in collaboration with A-list celebrities. I recently concluded a wonderful trip to Lindau and Mainau Island in Germany, invited by Countess Bettina Bernadotte af Wisborg and her great team from the Council for the Lindau Nobel Meetings. I was able to meet closely with many scientists, students and also some of the Nobel Laureates. The trip inspired me to pursue more support to the world of science and research for a better future. I like the new immigration system. I feel it has a good filter and execution. I would just add more machines to operate in order to avoid the queue at the airports. 1. Believe in your dream: I always wanted to work in Malibu, I decided to locate my new investment company Into the Sun Investment and entertainment company Into The Sun Entertainment in Malibu. I like the way one can feel isolated from the rest of the world there, where life and the pace is slower. I love that idea. 2. Make your dream: I felt LA was my home a few years ago, while traveling there for short stays. When I felt ready to make the move, I possessed the self confidence to make the decision of moving most of my life and business there. I just did it. 4. Embrace multi-culturalism: Embrace the multi-cultural aspect of the American dream. In the United States, one can make so many new friends from many multi-cultural backgrounds and origins, each and every day. Two days ago, I met a young scientist from New York City on the train from Lindau to the Zurich airport. She was shy, but she had a lot of positive vibes. Her look was contemporary, yet at the times, she seemed almost straight out of another century. I was so happy to meet her and recognized her pride in being a scientist working and studying in USA, even if she was of German origin, as she communicated to me. 5. Know that anything is possible: The feeling that anything can be achieved reminds me of China in early 2010, when I moved back to China from Europe.At that time, so many things could be accomplished so easily and rapidly. That enthusiasm has somewhat stagnated since then, because the development during the past few years in China has been rather fast. When I am in the USA, I also experience that permanent enthusiasm and wish to thrive among by ALL of the people I encounter. Everyone is trying to give the best of oneself, and thus, I feel the constant need to be a better version of myself as well. I would like to meet James Corden. I love the way he showcases the American dream to his audience in the most intelligent and entertaining way.